All PATRICK LOFTS homes currently listed for sale in Salt Lake City as of 04/18/2019 are shown below. You can change the search criteria at any time by pressing the 'Change Search' button below. "5% down. No PMI! The Patrick Lofts are modern urban dwellings in the center of the city with industrial elements, large expanses and ingenious design. A place where you can hang outrageously large pieces of fine art. Windows that invite so much light you'll banish the vitamin D supplements. The best restaurants, bars and entertainment centers in the city are your neighbors. This place represents an entirely new lifestyle, hip, sweet, wickedly cool. Each loft is a 788-859 square foot, two bedroom, one bath oasis. The bathrooms are styled after those in Europe and Japan; compact, efficient. The kitchen is your very own cooking venue where you face your guests and every plate, cup, wok, and Soduku knife has its place. The bedrooms are your recharge zones with built-in storage underneath. Brilliant!" "5% Down, No PMI! The Patrick Lofts are modern urban dwellings in the center of the city with industrial elements, large expanses and ingenious design. A place where you can hang outrageously large pieces of fine art. Windows that invite so much light you'll banish the vitamin D supplements. The best restaurants, bars and entertainment centers in the city are your neighbors. This place represents an entirely new lifestyle, hip, sweet, wickedly cool. Each loft is a 788-859 square foot, two bedroom, one bath oasis. The bathrooms are styled after those in Europe and Japan; compact, efficient. The kitchen is your very own cooking venue where you face your guests and every plate, cup, wok, and Soduku knife has its place. The bedrooms are your recharge zones with built-in storage underneath. Brilliant! Photos are of model loft. 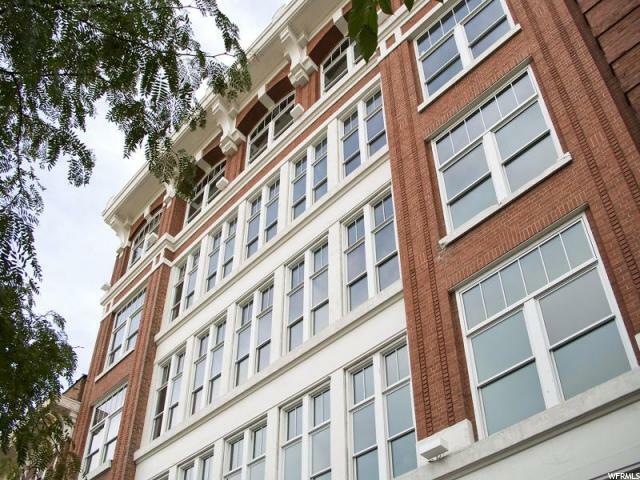 All lofts are the same configuration and approximate square footage. Buyer to verify all! "